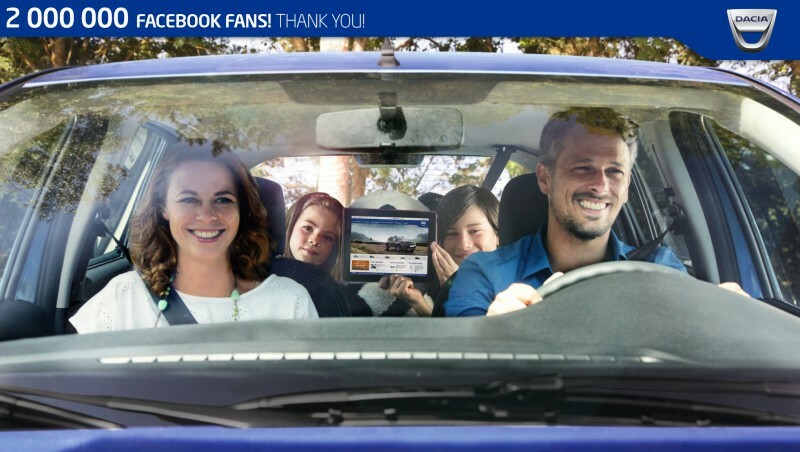 Since setting out on its vast social-network quest in 2010, Romanian brand Dacia has built up a community that today tops two million Facebook fans. Dacia ventured out on the social network scene in 2010, starting with its own international Facebook page in English and French. From these roots, local variants would branch out gradually, with publications in local languages keeping people in touch with the offers and events fielded by local dealer networks. Dacia today runs no fewer than 20 pages, covering European and Mediterranean Rim countries. Turkey tops the popularity charts, with Dacia's Turkish page claiming 600,000 fans, followed by Romania with 330,000. France and Algeria share third place with 240,000 fans each. 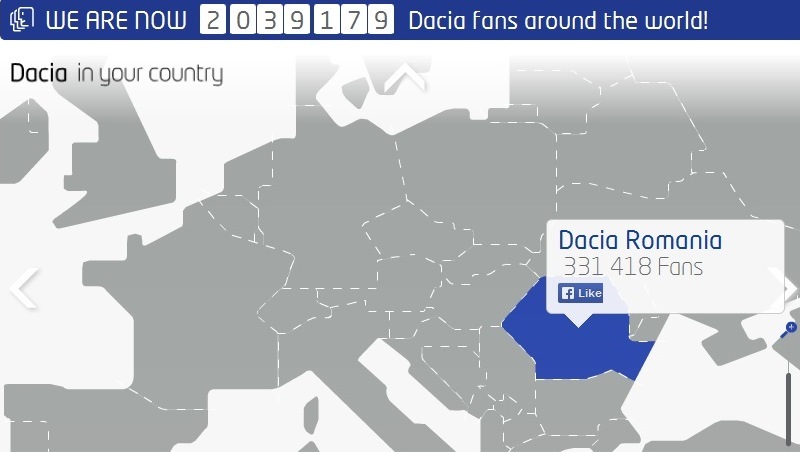 Across the 20 local pages plus the international page, Dacia today boasts more than two million fans. Dacia's Facebook fans enjoy taking part in frequent contests, rewarded with invitations to come and try out new Dacia products. Here are a few examples, showing Polish, Spanish and German fans test-driving New Duster in France. Apart from Facebook, Dacia also keeps a high profile on Twitter, Instagram and other social networks, in various countries.